It's established that Daniel Radcliffe is n versatile actor, whether in the big screen or on stage. But the pattern with this actor is he's drawn to movie adaptations of famous books that would definitely turn out as good movies. And one of his recent movie gig is Horns, directed by Alexandre Aja based on the novel written by Joe Hill. Radcliffe was not really the original choice for the lead character, Ignatius Perrish (it was Shia LaBeouf), but his performance has already received positive reviews among critics and viewers of TIFF. Everyone is a buzz, but we don't even have a look of the trailer, or even a movie clip until now. 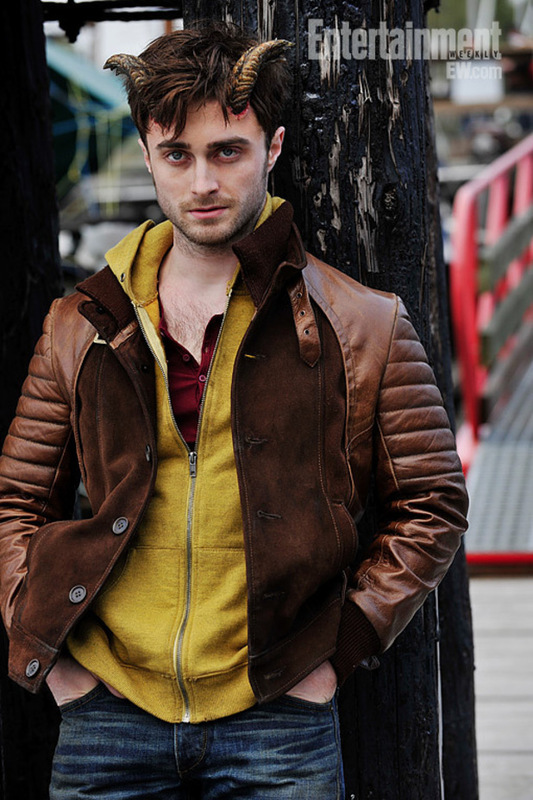 Watch Daniel Radcliffe in the first ever Horns movie clip. Horns is about a decent enough young man named Ignatius Perrish, a guy who has always tried to do the right thing, only to see his whole life abruptly torn away from him. His girlfriend, the person he loves more than anyone in the world, is killed, and although he’s never charged with the murder, everyone, including his family and friends, believe Ig is responsible. Then one night Ig goes out drunk to rage and curse God, and when he wakes, he discovers he’s grown a pair of horns, and that people have a sudden compulsion to confess their darkest secrets and ugliest impulses to him. It isn’t long before Ig turns his terrible new powers to finding the man who killed his beloved, and taking his revenge. Horns has premiered during the Toronto International Film Festival last September 6, 2013 and is expected to hit international theaters sometime next year.